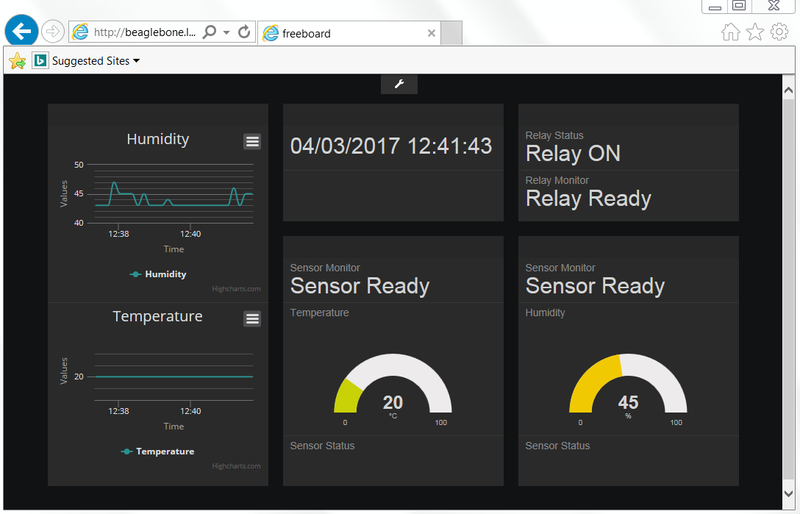 Below is a list of the articles to follow to build your IOT environment consisting of sensors and relays with Beaglebone, ESP8266 and MQTT Mosquitto server. 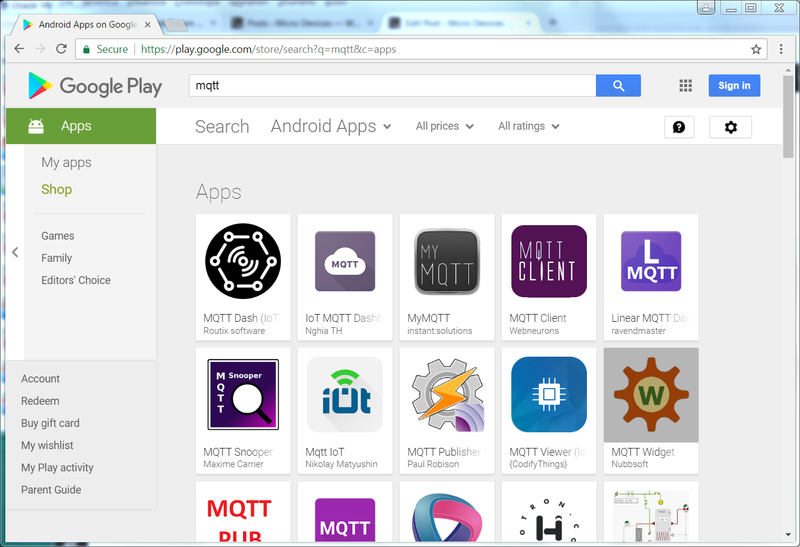 now we can proceed to use a Mqtt Client on an Android device. 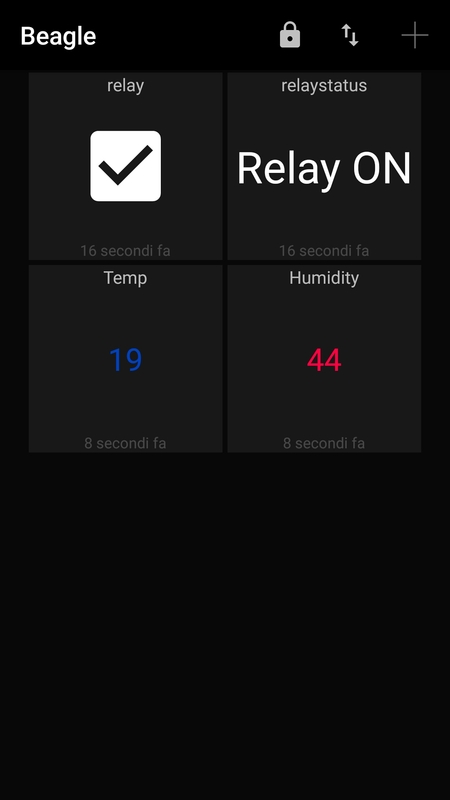 it is possible to monitor the sensor temperature and humidity, the devices status and send commands to the relay (Turn On, Turn Off, Status, Restart, Sleep) and to the sensor (Restart, Sleep, Status). 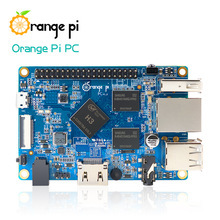 but you can use anyway the Beaglebone IP tho access the services provided by the board. 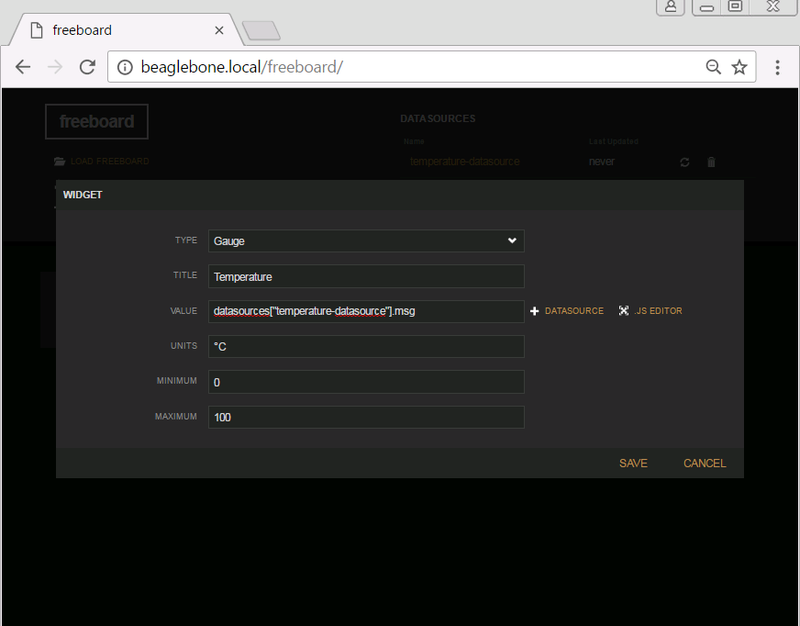 we analize now the webserver configuration on BeagleBone and the Websocket configuration for the broker MQTT mosquitto always on Beaglebone. 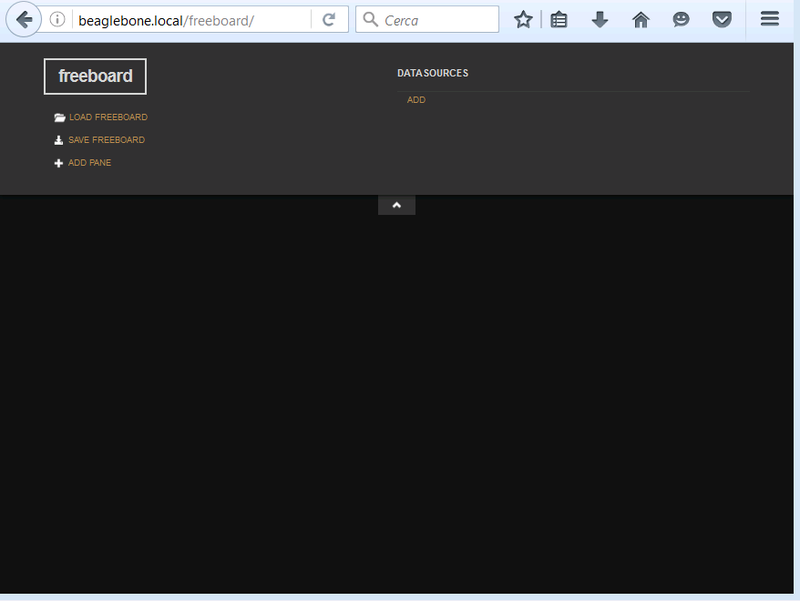 We proceed at this point to install on the http server a MQTT Websocket client and the Freeboard dashboard. Let us take a look at the lua code; It consists of init.lua and relay.lua files. In the file we set the the parameters to access the wifi network, the address and port of the MQTT broker and the file to be run on the ESP after wifi connection to the access point is estabilished. If the ESP doesn’t acquire the network address the system is restarted. -- Delayd sleep to send the message above. /home/relay1/status : Status topic. 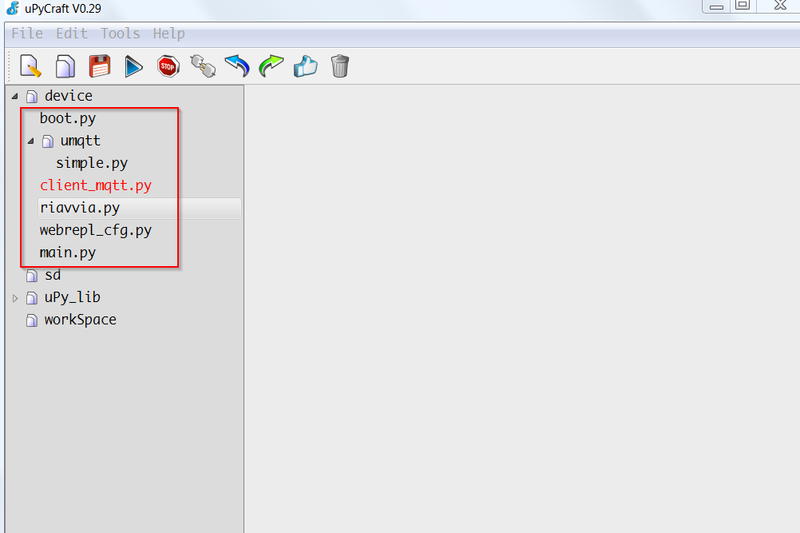 The status is sent at the start and at request from the command topic /home/relay1/command. /home/relay1/monitor: Status of the esp sent periodically to this topic. Sleep n: Put to sleep for n seconds the esp. ON: Turn on the relay. OFF: Turn off the relay. 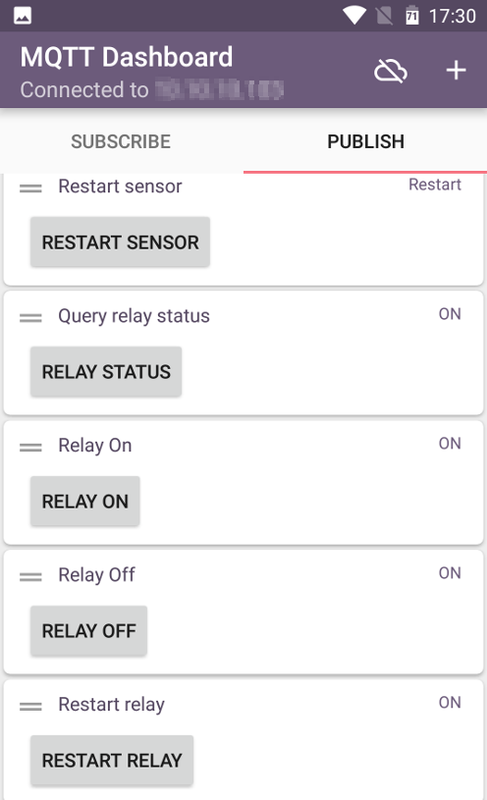 Status: Request of tthe relay status (ON or OFF). There are various service functions to manage all. The comments in the code describe each feature. Let us take a look at the lua code; It consists of init.lua and tempumid.lua files. In the file we set the the parameters to access the wifi network, the address and port of the MQTT broker and the file to be run on the ESP after wifi connection to the access point is estabilished. If the ESP does’t acquire the netowrk address the system is restarted. /home/room1/status : Status topic. The status is sent at the start and at request from the command topic /home/room1/command. /home/room1/monitor: Status of the esp sent periodically to this topic. 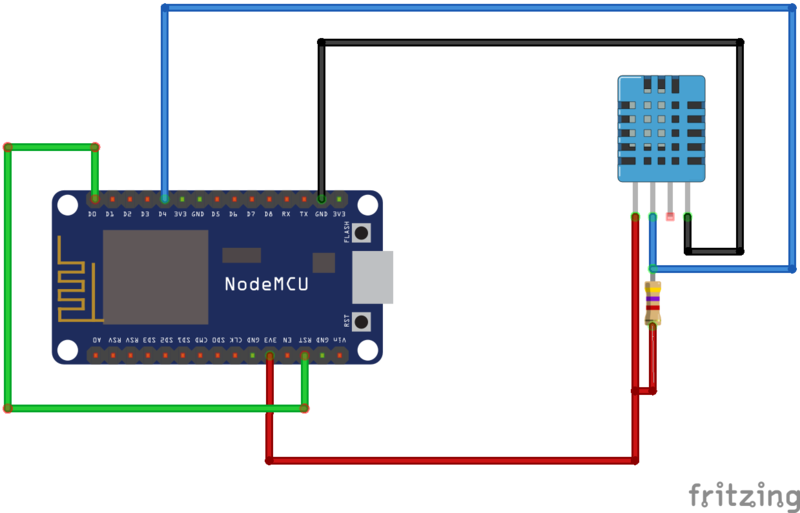 let us set the MQTT nodes on ESP8266. 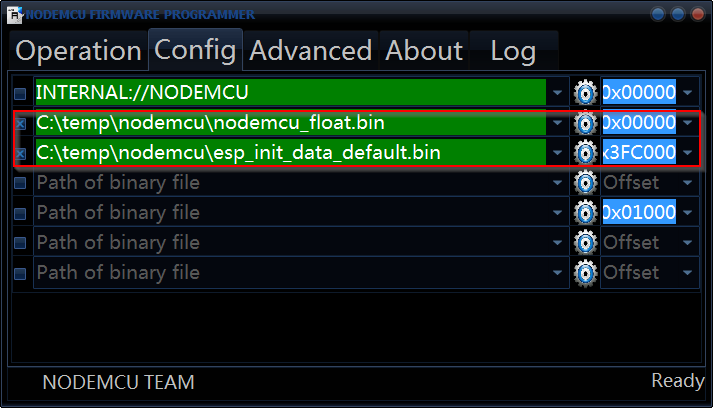 These settings are the default in the user_module.h file. we have to set the correct parameters for the esp8266 model. Performing the upgrade with this image we have had space issue with 4Gb partition. The version of Mosquitto with Debian Jessie doesn’t not have the Wesockets services, which we’ll use for the Dashboard. For this reason, we have to install a more recent version of Mosquitto (or recompile it from source). mosquitto_sub -h localhost -t "topic/test"
mosquitto_pub -h localhost -t "topic/test" -m "Prova"
With QoS = 0 the message is sent only once and is not required confirmation of receipt by the subscribers; the MQTT implementation in these articles is without protection with name/password or ssl channel encryption and with QOS=0. 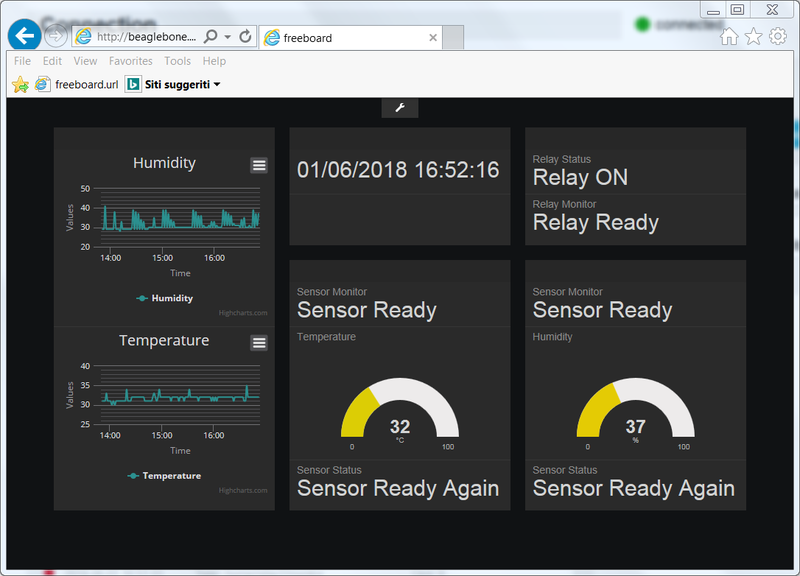 In this series of articles we treat a MQTT message broker installed on BeagleBone Black; this componet allows to manage various esp8266 devices, to which we connect various probes such as temperaure sensors, relays. 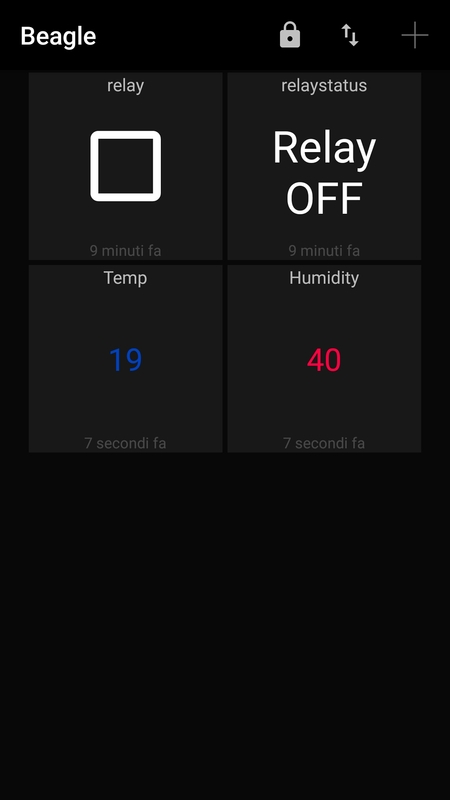 All this is handled with the help of apps on Android and a Dashboard installed on Apache on BeagleBone. MQTT Broker: relays the messages published to all subscribers. Publisher: Publish messages in the registered topics on MQTT Broker. 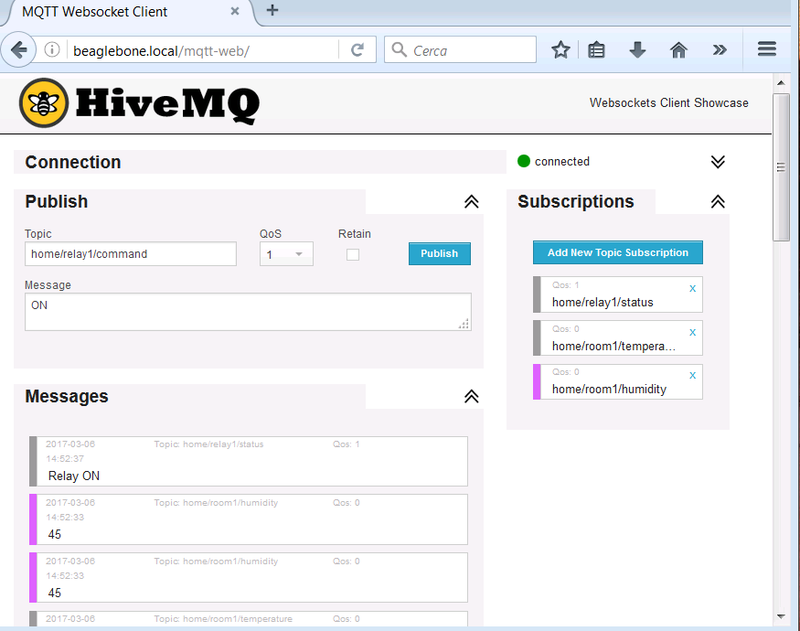 Subscriber: Receives messages for its registered topics from MQTT Broker. 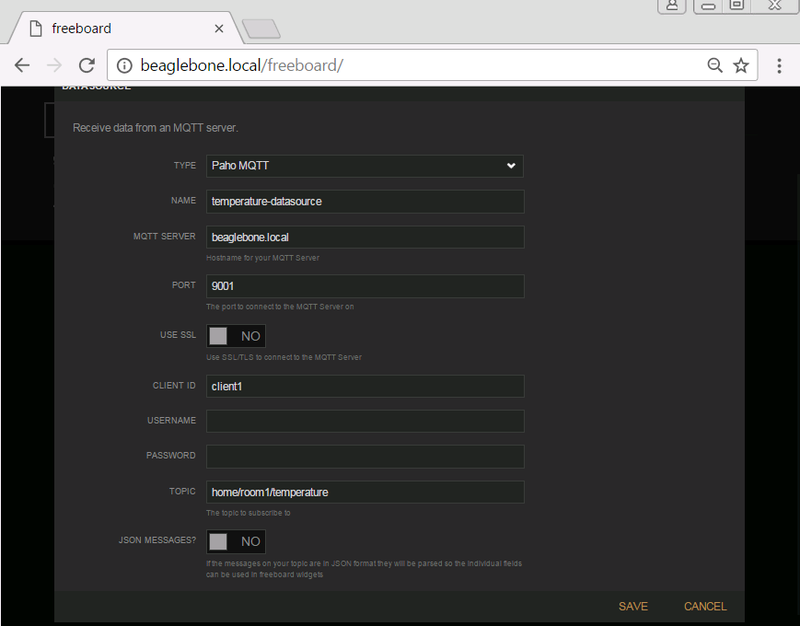 The system is composed of a MQTT broker on BeagleBone. 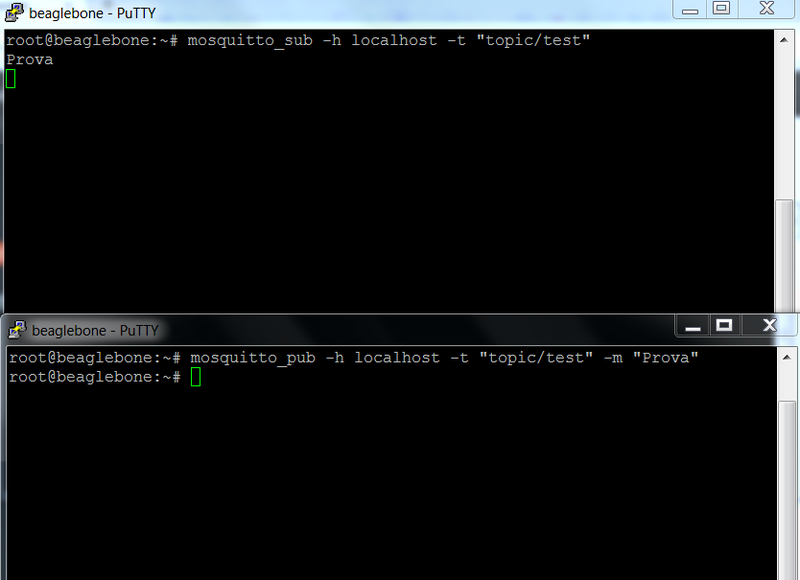 In this MQTT broker server you can define topics; different devices can be registered to these topics. For each topic the action can be subscription and publishing. By subscribing you receive all messages of topics, while with the publishing we can perform actions on the topic (for example, turn on a relay, restart a device, send sensor measurement,etc.). 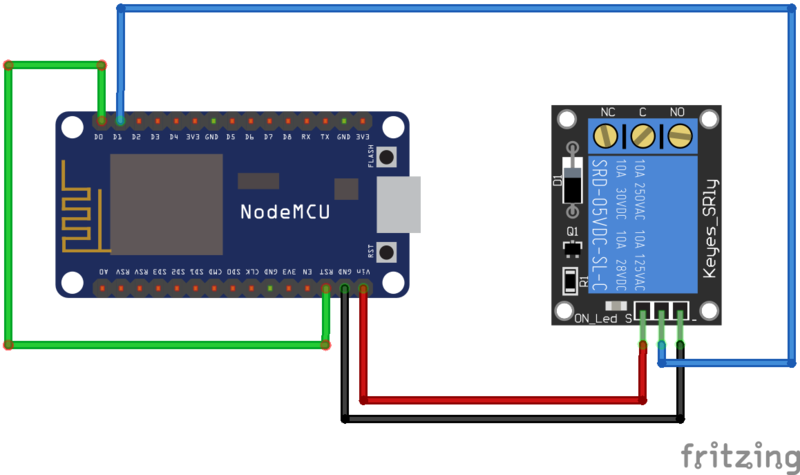 In the example we treat there will be, for example, a queue for the temperature monitor, hooked to esp8266 temperature reading device, another for the management of a relay, always run with esp8266. 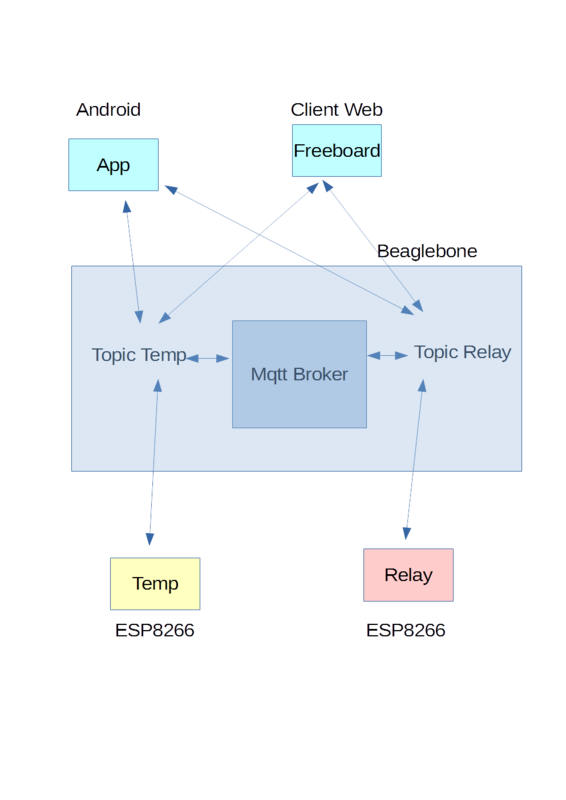 The MQTT broker relays the received messages among all subscribers/ publishers for each topic. 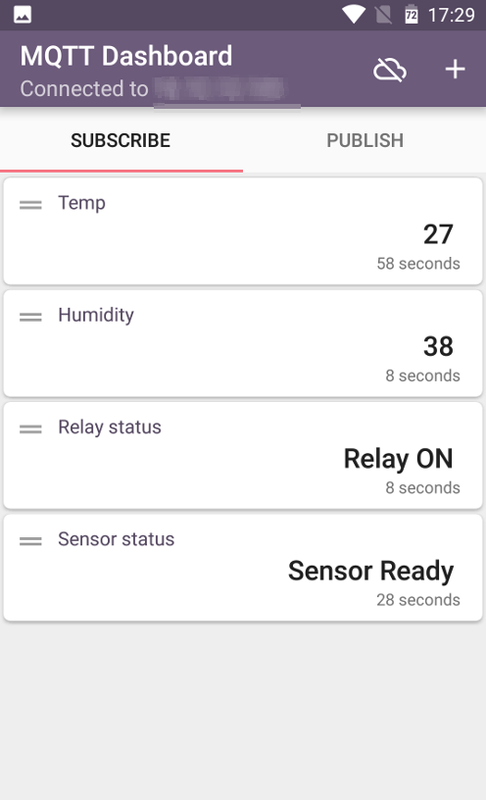 We can subcribe/publish to the topics on the MQTT broker using Android apps; the apps can receive messages and send commands to the esp8266 end device (Turn onRelay, Restart sensor, etc.). 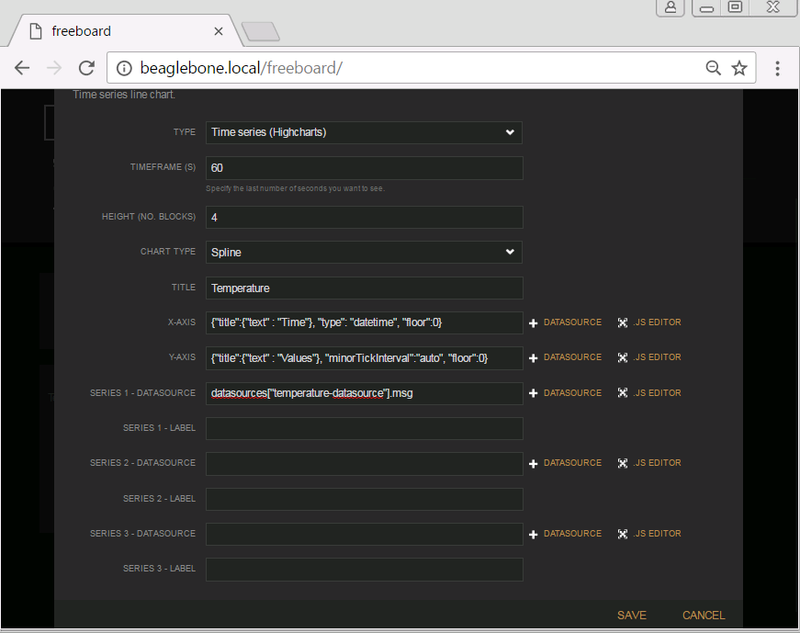 installed on the Beablebone Apache web server we can monitor in real time the end devices. 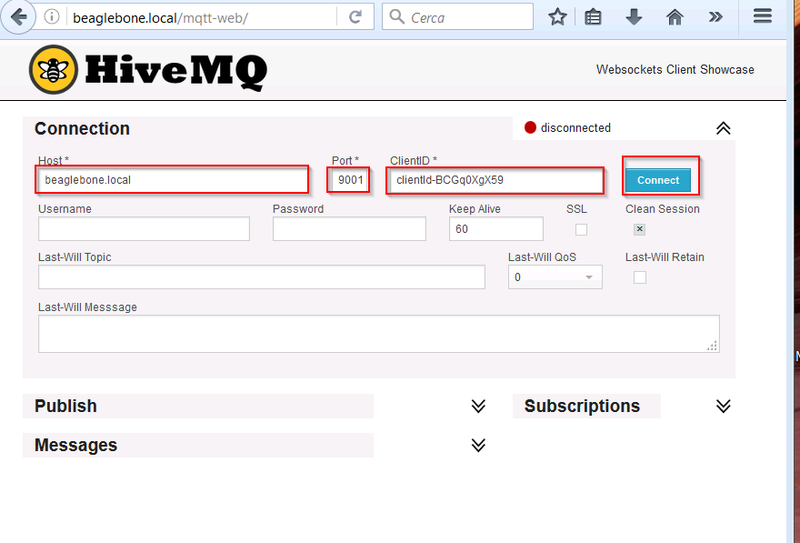 For more informations on MQTT system, consult the web site listed above.